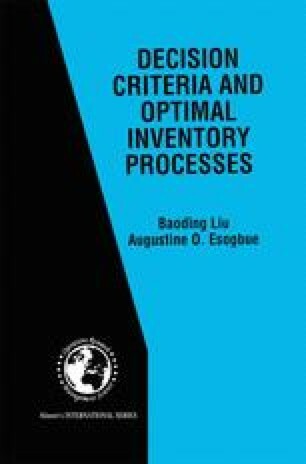 In our general introduction to inventory processes presented in Chapter One, we isolated the three primary costs usually of interest in our models, namely: the ordering cost, the holding cost and the shortage cost. We also noted that, in many cases, their estimations pose great difficulties for the systems analyst. This was said to be especially the case with the shortage cost. We did however, make some efforts to show how this is done in practice, albeit with limited success.